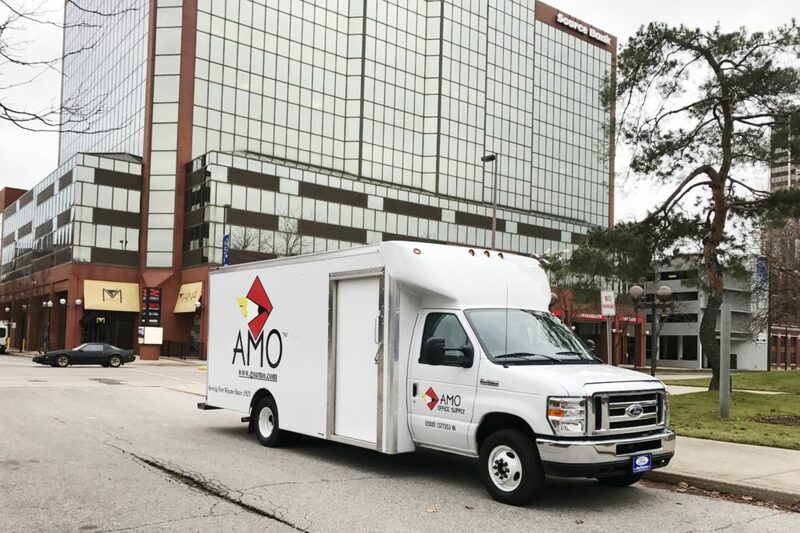 AMO Office Supply is a family owned & operated company headquartered in Fort Wayne, Indiana. What started out as O’Reilly Office Supply Company, a small local Fort Wayne office supply company in 1923, has transformed into a multimillion dollar company. Thousands of nationwide businesses count on us for all their office supply needs every day! Whether you were a customer in 1923 or a present customer almost 100 years later, you can always count on us! Want to see what we looked like in 1958? At AMO, we believe that the best customer service can only start with the best people. Not only do we select the best representatives and provide our employees with the knowledge and tools to succeed, but we encourage work & play: two things that are all too often found miles apart. We even arrange routine staff outings & activities which truly makes AMO one happy office supply company. When you call us, you aren’t greeted by someone halfway around the world– You are greeted by your friend & neighbor. Our employees are passionate, honest, and always looking to improve. With bigger office supply chains, customer service seems to be the last priority; don’t be a number with the big guys. Come join our family and see how much of a difference real customer service makes.